"I want an official Red Ryder, carbine action, two-hundred shot range model air rifle!" 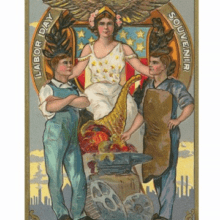 It is not too early for ordering a Vintage Americana Patriotic Labor Day Postcard, especially when seeing there is a discount for ordering at least eight of them. First, here’s a warm welcome to new email blog subscribers! Secondly, I’m including below a listing of my previous Labor Day blog posts. In addition, I’m remembering the first time we were looking at Zazzle here at AnchoredScraps was on the occasion of ordering my own postage stamp – Adding some Zazzle (4-19-2015). Thank you for joining me today. Tomorrow we are all back in full swing with a shorter 4-day work week kicking off the first week of September. Here’s to a fantastic September 2018! P.S. Today is blog post #1,286 celebrating letter writing! P.P.S. There is a coupon code I’m seeing for 50% off with code LABORDAY5ZAZ. 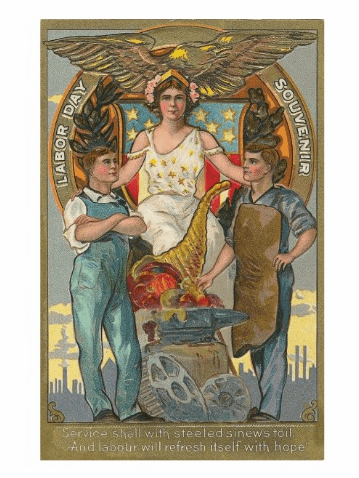 Link to Vintage Americana Patriotic Labor Day Postcard, Image, Zazzle, excerpt.